One of our very favourite pieces amongst the Great Dane showrooms, Mads Johansen's eponymous table is also one of the most versatile. His obsession with suspension bridges and engineering provided the catalyst to design the table as part of his final year apprenticeship. Careful consideration is given to every plank of wood selected in the creation of a Johansen table, to create a seamless flow of grain. The only person responsible for this task is master craftsman Erik Skovgaard, a man who proudly possesses a silver medal for cabinetry - awarded to only one person in Denmark each year. Erik's attention to detail is therefore second to none, and a key reason why the Johansen table is such an icon. Made to suit the demands of its client, the table is available in an array of sizes to suit any room. The table's elegant curves draw inspiration from Denmark's many suspension bridges; a clear interpretation of the environment Mads grew up in. This hallway variant of the Johansen gives an added subtlety to the lines of the table and is equally suited for use as a standalone piece or to compliment a Johansen dining table. 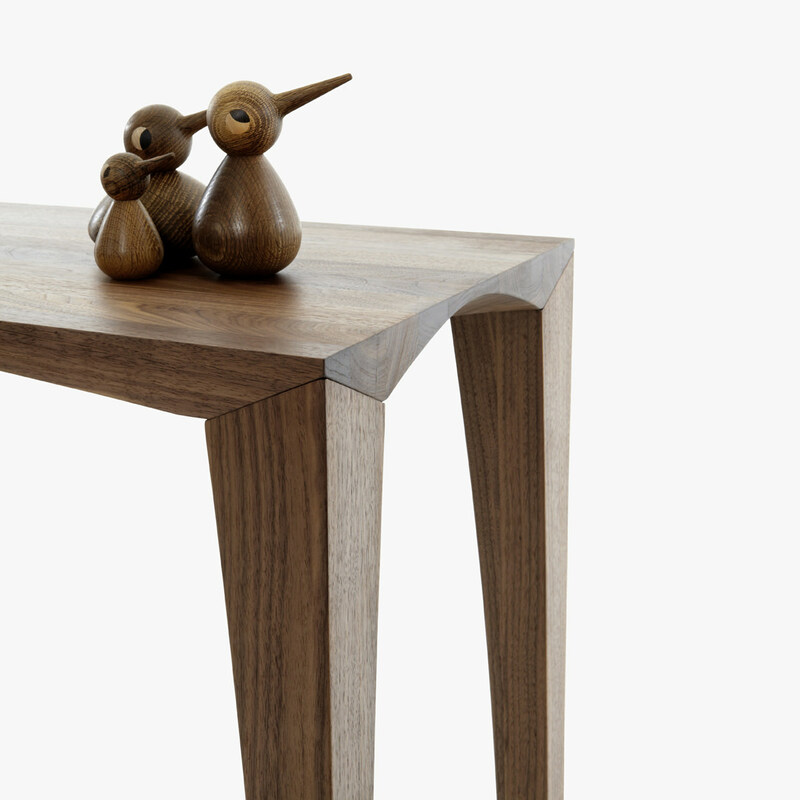 The warmth of the oiled walnut finish gives additional tactility and texture to the table. The Johansen is a table to be loved and used. It inspires a lifetime of memories and it's impossible not to be in awe of the craftsmanship inherent in such an iconic design. Great Dane is proud to display this contemporary classic in both our Melbourne and Sydney showrooms.